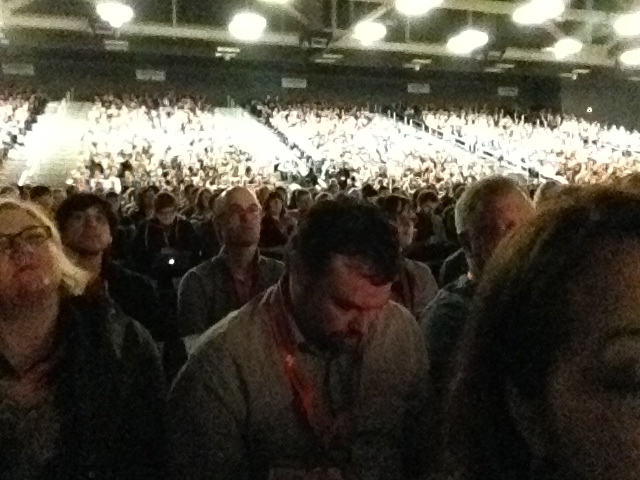 A sea of Interactivites at the opening keynote. Digitas reported that 50% were first-time attendees — my first time was 1995, which in just a few years will be the birthdate of the average attendee! This crowd had come to see Bre Pettis of MakerBot unveil the Digitizer, a gizmo to capture 3D objects so they can be replicated. 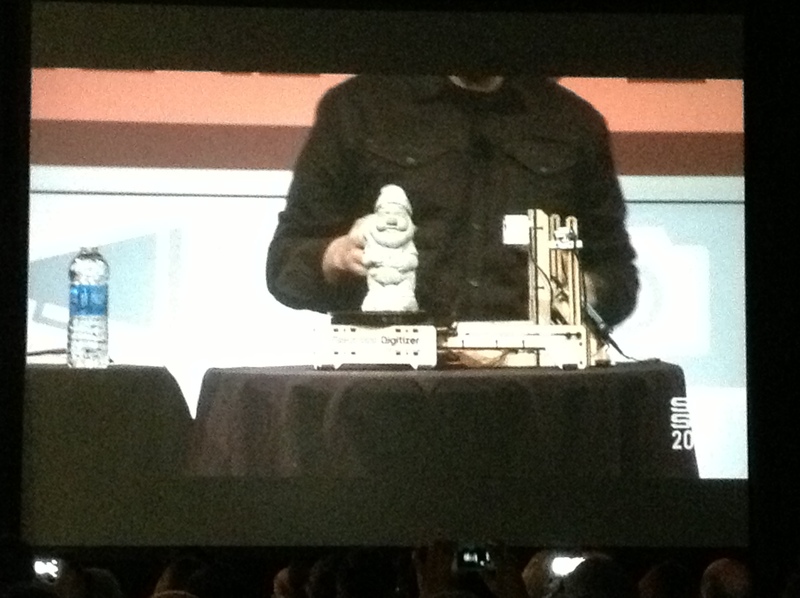 As he pointed to the garden gnome, he crowed “If its smaller than this, I can replicate it — a new way to think.” Just as the miraculous technology of the internet has achieved its apex broadcasting cat videos, this Star-Trek-like replication device proves its worth by copying a garden gnome??? 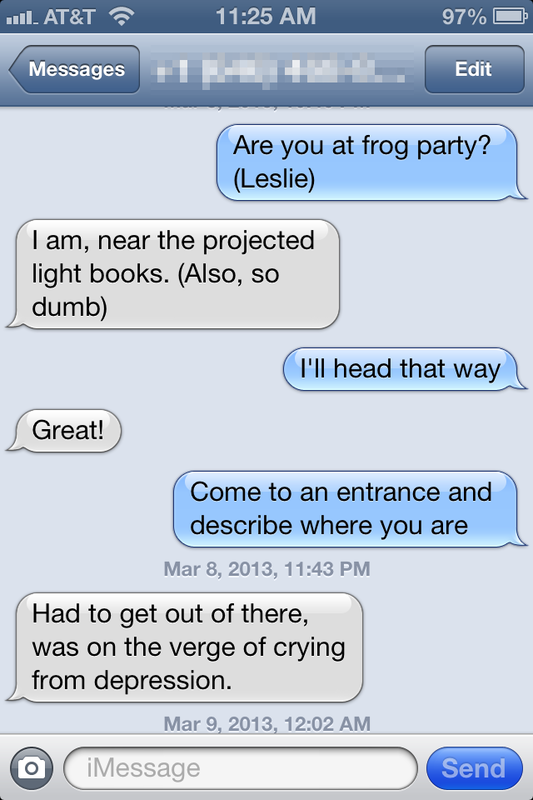 frog has made a tradition of hosting the interactive opening party. 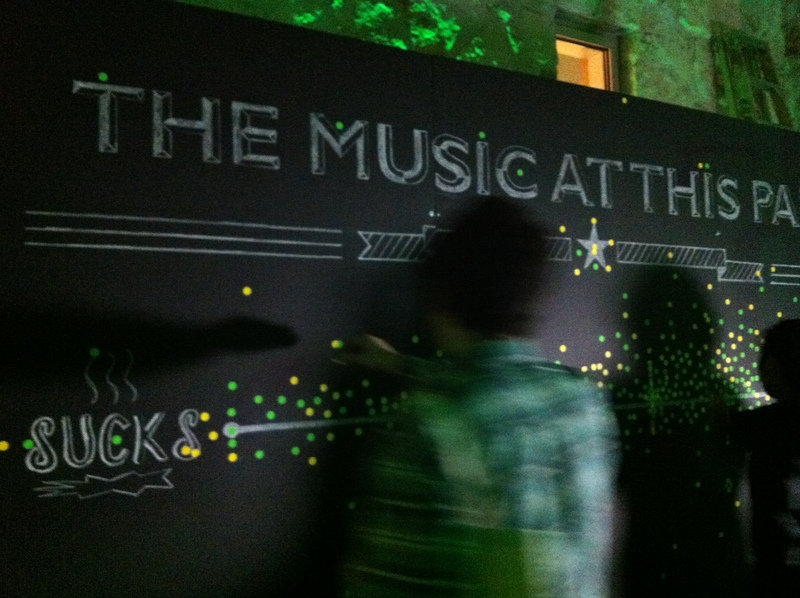 I found this old-school sample of interactivity (chalkboard+stickers) designed by my friend and former colleague Jon Freach the most social and collaborative bit of fun this year. and for an anonymous friend of mine, it was just too much. 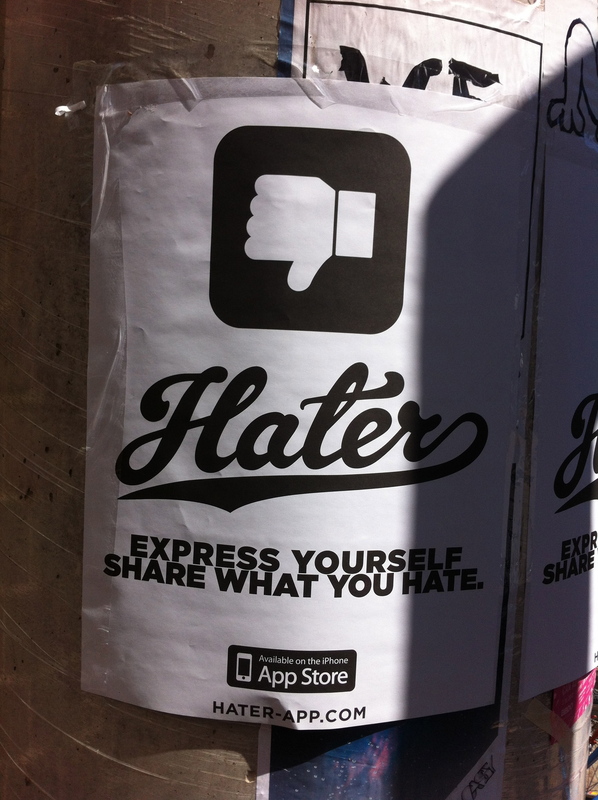 A new app — do you have more in common with people who LIKE the things you LIKE or HATE the things you HATE? 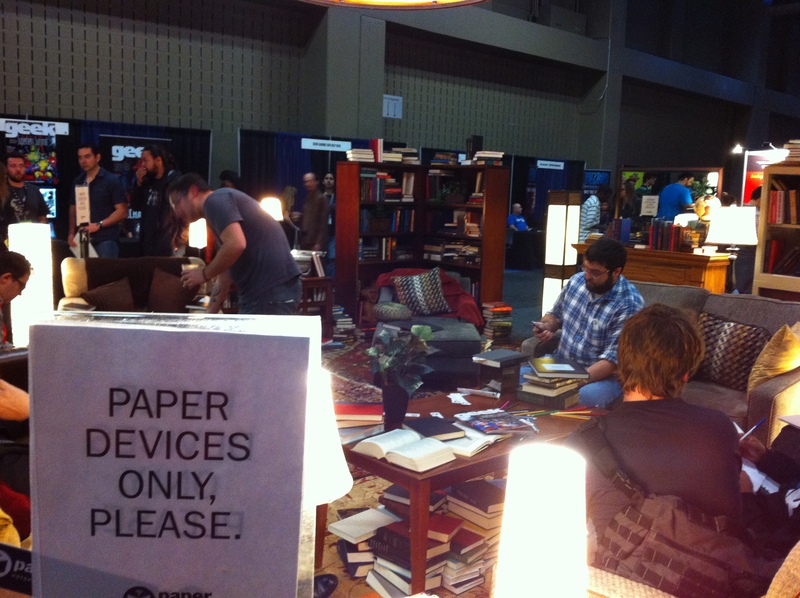 An oasis at the games expo — quietly sponsored by a paper company, this little living room was full of used books, drawing pads, colored pencils and thrift-store furniture. My conversation with Jake Barton of Local Projects (We Want Turtles!) was featured on Mashable’s “29 Panels You Can’t Miss.” Look at how diverse this list of panels is — just one room on one day of the conference. 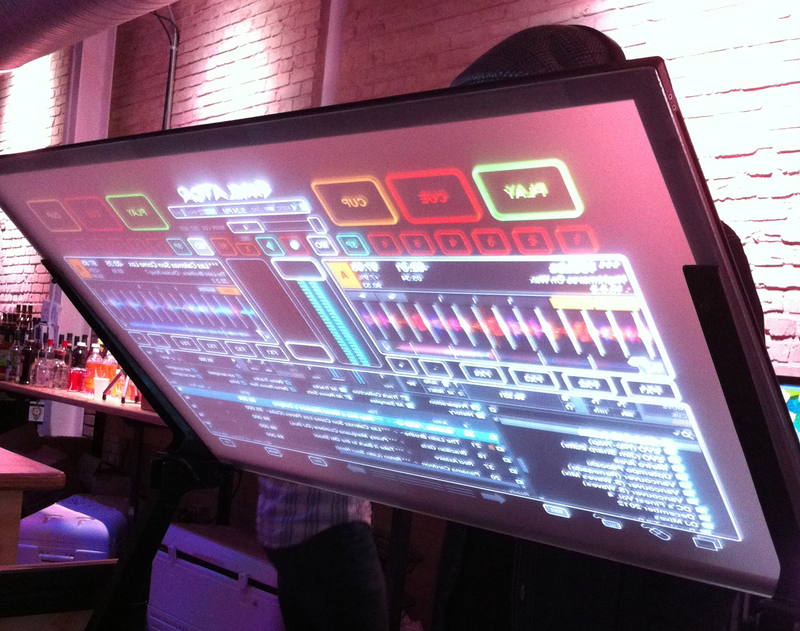 Windows 8 DJ dashboard at Windows happy hour. 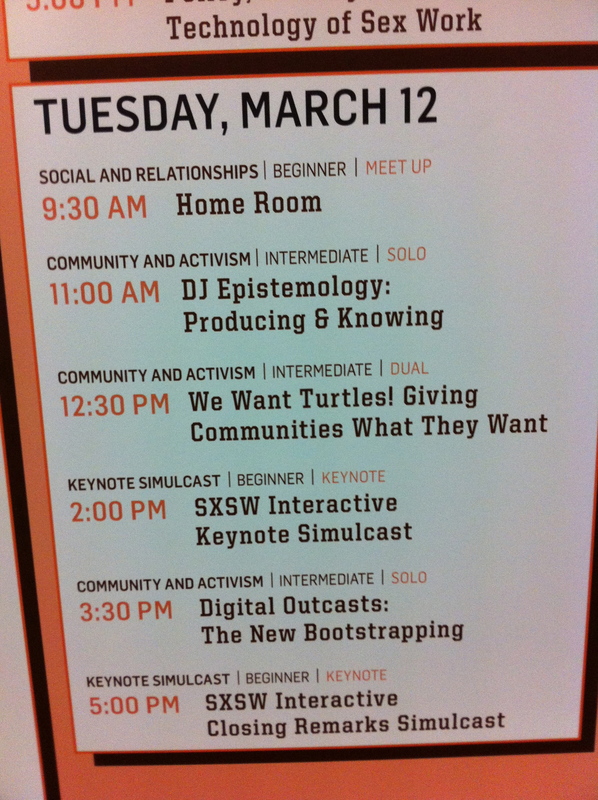 I’ll close this post with the closing session — Bruce Sterling’s sermon on SXSW 2013. I’m a big fan of his rambling, gonzo take on technology and our future. The notes I took are on the right (he speaks too fast to capture) and they almost read like poetry. Watch for yourself here. Waco, the defeated Austin. It was the Athens of the southwest. A billion apps have been sold — where’s the betterness? 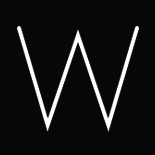 How can we get past the wow factor? This entry was posted on March 20, 2013 by lwolke in Blog.